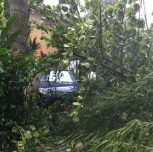 Both before and in the aftermath of Hurricane Maria (September 20, 2017), whether in person or online, I have been involved in hundreds of discussions about preparedness. For those of us who've been through a natural disaster, we know being prepared was / is the difference between having one be an inconvenience or catastrophic. Obviously a lot goes into who wasn't / isn't sufficiently prepared. Oft times it's money and sometimes it's having the belief all that's needed is extra food, batteries and water. Having spoken with countless numbers of people since Hurricane Maria, I have come to the conclusion most weren't and still aren't prepared for a natural disaster. 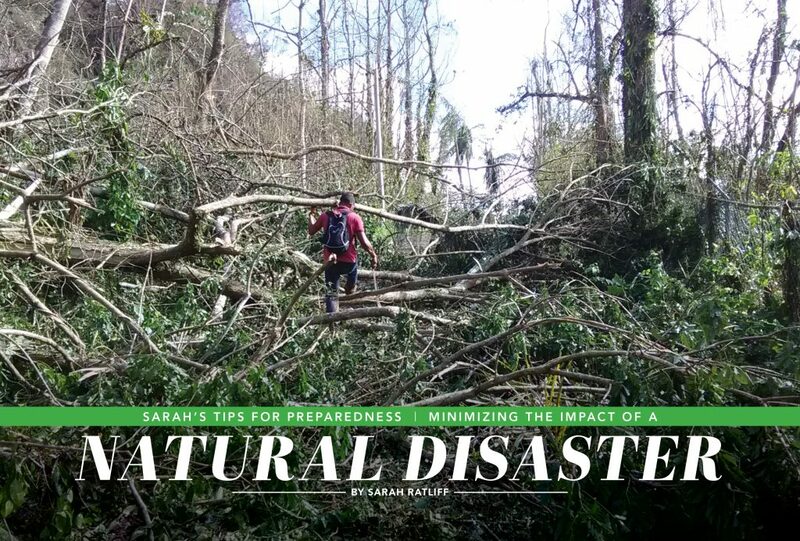 That's why I wrote Sarah's Tips for Preparedness: Minimizing the Impact of a Natural Disaster. Sarah's Tips for Preparedness is for anyone who lives in an area where natural disasters occur. I can't think of a single place that isn't prone to some kind of natural disaster—regardless of where we live. As fires continue burning California—again this year, heatwaves and fires rage throughout Europe, earthquakes of magnitudes 7.9 in Kodiak, Alaskaand an 8.2 in Chiapas, Mexico, and myriad others around the world in recent years, one thing is clear: nobody is immune from a natural disaster. Young, old, Black, White, Asian, Native, Multiracial, thin, overweight, rich, poor or middle class and regardless what languages are spoken in homes, it isn't a matter of if but rather when. Are you prepared? Seriously, stop and think about that for a moment. If you think stocking up on water, some batteries and canned foods makes you prepared, I suggest you consider buying my book, which by the way I won't see a dime of the profits. 100 percent of the proceeds will benefit two non-profits on Puerto Rico. So writing about this today, hoping you'll buy the book today, tomorrow or next week, isn't self-serving. I wrote this book to help people and give money to two organizations that will put the money to use right away. Racists (most of them are preparing for civil unrest, which oftentimes means when the PoC "get out of hand," and the state or federal government has to call for Marshall Law). Try and let go of that mental image for a moment. In every society there are those living on the fringe. I'd put those "preppers" in the "fringe" category for sure. This is different. Being prepared for Marshal Law and a natural disaster are two very different things. As I said earlier, regardless of your race, socioeconomic status, religion, age or location, you are living someplace that is prone to a natural disaster, and I believe my book, Sarah's Tips for Preparedness will help you be the difference between inconvenienced (as were Paul and me) and anything from homeless, seriously ill or worse—your relatives are preparing for your burial. What's your first reaction after learning that a tornado, flood, wild fire or hurricane is headed straight for your town? Unless you just need to socialize, if your response is to leave your house to buy anything—food, water, batteries, wood to board up your windows, flashlight, etc.—then you aren't prepared. In 2008, two corporate America professionals left their well-paying jobs to live a much simpler life. 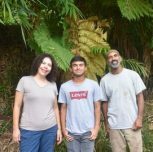 Knowing nothing about agriculture, they bought an organic farm in the interior of the Caribbean island of Puerto Rico. They told themselves they were prepared for anything. Within three days of moving to their new farm, the water utility shut off their water so they could fix a sizable leak down the hill from their farm. The water remained off for three weeks. Sarah's Tips for Preparedness isn't meant to be a definitive guide. With many books on preparedness out there—most of them dense with information, eclipsing 150 pages—it's impossible to cover every scenario you're likely to encounter in 50 pages. However, Sarah's Tips for Preparedness will prepare you in ways you probably never imagined. Whether it's ensuring you have safe drinking water that's filtered for 99 percent of viruses and 99 percent of bacteria, buying rechargeable batteries instead of ones that just end up in the landfill or making sure your computer is properly backed up should power be out for an extended period of time, Sarah's Tips for Preparedness offers these and other suggestions to minimize the impact of your next natural disaster. To prove I'm not being self-serving with either my book or this blog, I do want you to know that 100 percent of the proceeds will benefit two non-profits on Puerto Rico. One is called Fundacíon Free Juana. Fundacíon Free Juana was founded by marijuana activist Shadiff Repullo to educate marijuana dispensaries, growers and manufacturers about marijuana and its many uses. Cannabis has come a long way since I was a teenager. Legal for medicinal use in Puerto Rico, Cannabis comes in many forms: weed (flower / bud), oils, creams, edibles and waxes and can target your chronic pain (and mine), tumors in your body, fibromyalgia, tremors from Parkinson's, improve cognition in people with Alzheimer's, reduce, almost eliminate epileptic seizures and so much more. Fundacíon Free Juana wants to make sure when you buy medical marijuana, the people who sell it to you know what your reason is for using it and which strains work best for your unique condition. I have used medical marijuana for a year for chronic pain stemming from an injury when I was 18, and have been able to get off Vicodin, which I had previously used for 25 years. I'm grateful to Puerto Rico for legalizing it and to Fundacíon Free Juana for educating all those involved with medical cannabis. Fundacíon Free Juana is located in San Juan. The other is Island Dog. If you've ever visited Puerto Rico, you know we have a very serious homeless animal population. It's estimated 500,000 dogs and a million cats roam the streets of Puerto Rico in search of forever homes. Island Dog does rescue, spay / neuter and release, adoptions and outreach to the community. Founded by Katie Block in 2006, she and her dedicated team have rescued over 100,000 dogs and cats that would otherwise remain on the streets: hungry and continuing to procreate. 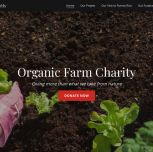 This is an organization that is very close to my husband's and my own heart. Prior to posting cameras at various points on our property (including the front gate), we had half a dozen dogs and more than a dozen cats dropped off on us. Relocating pets people no longer want or that are the result of not spaying and neutering is not someone else's problem. It's our collective problem and through education and action, Puerto Rico can end its stray dog and cat problem. Island Dog is located in Fajardo (on the east coast of the island). Hurricanes, Fires, Blizzards, Tornados and/or Earthquakes will impact our lives. There's no getting around this but the more prepared you are ahead of time can mean the difference between inconvenience and devastation. Sarah's Tips for Preparedness: Minimizing the Impact of a Natural Disaster is available in English now. The Spanish eBook is also available now. The paperback will be available before the end of the will be available by August 10th. Do it for you, do it for your family and help two very worthy organizations in Puerto Rico. Thank you to Joan Kirchheimer of TJ Ranch for providing the photo for front cover of the book. Full disclosure: I have used Amazon affiliate links in this blog and in the book, Sarah's Tips for Preparedness: Minimizing the Impact of a Natural Disaster. All of the products I link to in this blog and the book are ones my husband and I use regularly. I wouldn't recommend products we'd never tried and had success with using.